Are you beginning to struggle during your search for Adult Martial Arts Class Keller TX and you don’t know what to do? Maybe you’re unsure of how you’re going to find the right classes for your needs and you’d like some help and support. Whatever your situation might be, you’ll always be able to trust in our professionals. We’ve got experts on deck who want to help you figure out the right answers for your personal needs. Contact Tiger-Rock Martial Arts if you’re prepared to start working hard and hanging yourself for the better. We’ll be behind you every single step of the way. Tiger-Rock Martial Arts is a brand that was born back in the year of 1983. During that time, TRMA started out as a small, local dojo that was here for a few citizens’ training. People would align here and start working out and making the most out of their Korean Taekwondo and karate capabilities. While this was something that started out as a small, local project, Tiger-Rock quickly grew into something nobody expected it to be. Today, TRMA is the biggest martial arts franchise in all of America. This is a title and accomplishment we’re proud of, mostly because it means that we’re able to touch a lot of people’s lives. We have well over a hundred locations that make our brand great. We want Americans all across the country to be able to make sure they have access to the best dojo in the states. If you’d like to start working with us, we’re more than happy to welcome in a new student. Align yourself with our dojo and start working hard; we think the results will take care of themselves! Korean Taekwondo is the form of martial arts we teach. This is a very great resource for our dojo, and we couldn’t be happier that this is what we share with our students. It’s pretty tough when you don’t know what to do about your karate and Taekwondo needs. Are you trying to learn specifics about this martial art and you want experts who really know how to guide you? If you’re a paying student, you deserve the best. You shouldn’t have to put up with lackluster trainings and classes that really don’t explain or share anything. Make sure you have access to the best of the best by calling in our team for assistance. 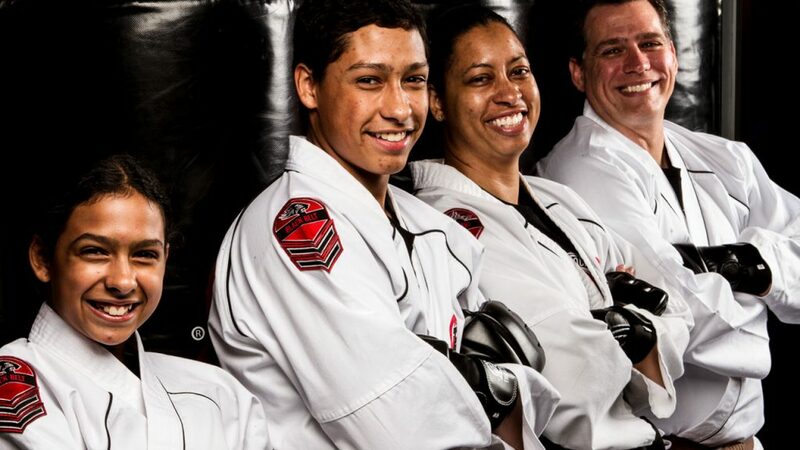 If you choose our Adult Martial Arts Classes Keller TX program, you’ll have access to the best instructors in America. Each and every staff member on our team is a certified instructor and master of Korean Taekwondo. You can trust these individuals to guide you in the right direction and make sure you have top notch access to the best classes in the world. If you want to get better, TRMA is the place to start and finish at. Self-defense is a huge part of American culture nowadays. Are you trying to figure out how you’re going to be able to defend yourself in the face of danger? Perhaps you’re very scared and afraid when you walk places alone and you want to start doing something about your confidence levels. This is very important in life, and you’re going to want to make sure you’re your best self as often as possible. If you want to start cracking the code and getting better at your deficiencies and weaknesses, we can help. At TRMA, we ensure that our students get the best trainings possible. When it comes to self-defense, you never know when you might need to use these skills to stop yourself from experiencing danger or trouble. If you’d like to learn more about this, our dojo is the perfect place to be. Our instructors have crafted high-intensity drills and exercises that will prepare you for whatever might come. We want our students to have the right reaction times and confidence to pull off these maneuvers and make sure they defend themselves. If you want to ensure you have a way towards success, our team can be a part of the solution. Physical fitness is a big part of life, and it’s something that everybody should be conscious of. Are you unhappy with how strong you are, and you also feel slow, too? Perhaps you’re beginning to realize that your flexibility and stamina levels are just too low. Maybe you don’t know what needs to happen during the process of improvements and you’re losing hope. Whatever the case may be, you can count on our team to make sure you get the betterment you deserve. Our instructors can help your physicality improve steadily. If you want some help with your strength, speed, and stamina, we’ll be there for you. Tiger-Rock is here to provide you with the best possible Adult Martial Arts Class Keller TX options in the state of Texas. You’re probably ready to grow into the warrior you know you can be. If you’re prepared to start giving it your all and becoming greater, our team is here to provide you with assistance. Contact us today to learn more about our classes and start your journey towards greatness. If you trust in our instructors, you won’t have to worry about not meeting your goals. We’ll have your back every step of the way and give you the guidance you need and deserve. Keller is here to help you learn more about what you have to gain in our city. Our town is a small community here in Tarrant County, but we are quickly growing. With over 40,000 residents who live here, you can count on us to help you raise your family and start your new business. Visit Keller to create a better future for you and your loved ones. We’d love to have you here! Interested in learning more Adult Martial Arts Class Keller TX? Ready to begin your transformation? Choose from one of our 20 locations across Texas to Get Started today.